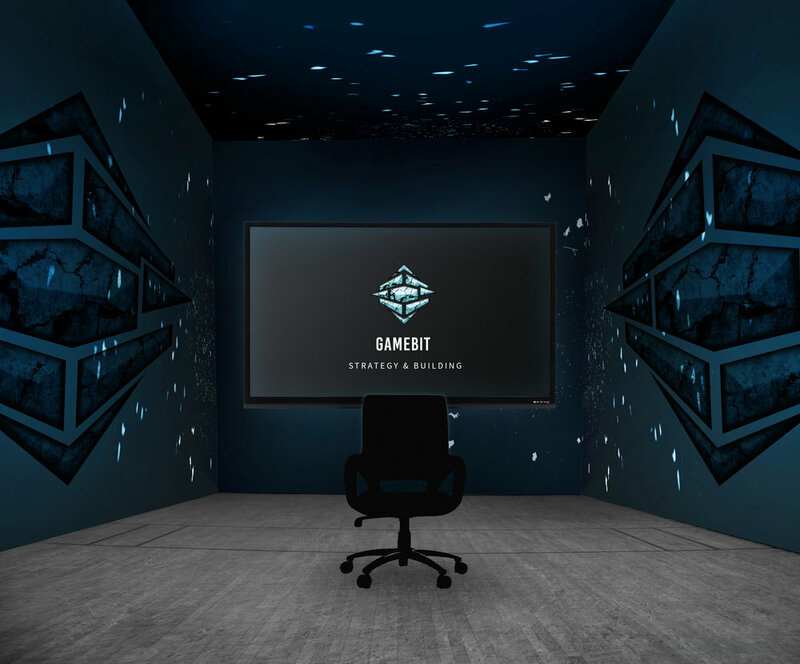 Gamebit is a gaming retail store that mimics the look and feel of the Electronic Entertainment Expo, a professional trade event for those in the gaming industry. 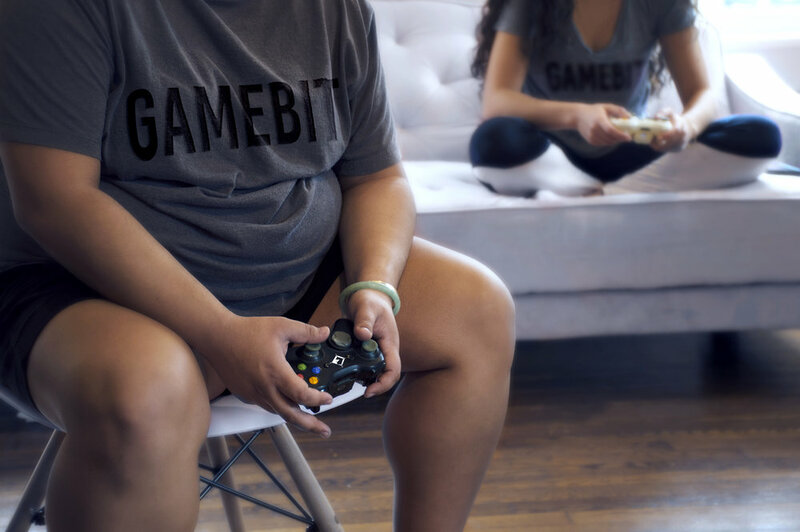 Rather than having a claustrophobic and crowded interior, like GameStop or Radioshack, Gamebit's sharp and modern aesthetic reflects the appearance of modern gaming brands, such as XBox and Nintendo. The logo's geometric, sharp, and strong qualities reflect an attitude of power, bravery, and confidence. The head logo, in addition to subsidiary logos, represent a company that stand for innovative technology. Collateral includes stationery, tshirts, and a gaming carrell.